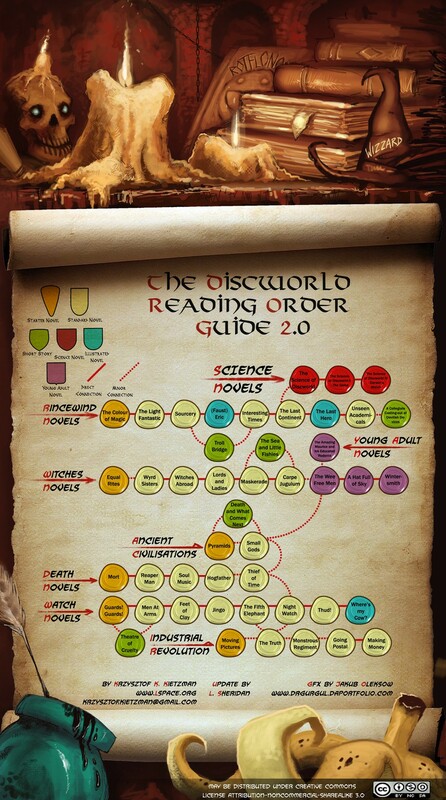 Continuing on my way through the Discworld Reading Order Guide has brought me to Guards! Guards!, the first book in Terry Pratchett’s series of Watch novels. I almost always eat through Discworld books in a few days. A week at the most. This one took a very long time. Goodreads sends me a very helpful email each month letting me know if there are any new books by authors I’ve already read, and they also remind me how long I’ve been reading my current book. The first time I noticed this, I had started reading Guards! Guards! 49 days ago. As if that wasn’t embarrassing enough, this month it reminded me that I’ve been reading the same book for 71 days! The book certainly isn’t to blame. I very much enjoyed it, and I look forward to seeing what else the Night Watch get up to in the future. I’ve just been watching too much television and spending too much time messing around with my 3D printer. Long believed extinct, a superb specimen of *draco nobilis* (“noble dragon”) has appeared in Discworld’s greatest city. Not only does this unwelcome visitor have a nasty habit of charbroiling everything in its path, in rather short order it is crowned King. Terry Pratchett From the Cover of Guards! Guards! I was intrigued right from the beginning when I learned about Carrot. He’s a rather tall human that was raised by dwarfs. This situation brought back memories of Buddy the Elf, but he showed up in theaters 14 years after Guards! Guards! was published! It wasn’t only the fresh mountain air that had given Carrot his huge physique. Being brought up in a gold mine run by dwarfs and working a twelve-hour day hauling wagons to the surface must have helped. He walked with a stoop. What will do that is being brought up in a gold mine run by dwarfs who thought that five feet was a good height for a ceiling. He’d always known he was different. More bruised for one thing. And then one day his father had come up to him or, rather, come up to his waist, and told him that he was not, in fact, as he had always believed, a dwarf. The only problem I had with this book was the dialog. Most of the members of the Night Watch speak in some sort of colloquial English accent. The pronunciations of some of the more interesting spelling choices come very slowly to me, and sometimes I have absolutely no idea what they’re talking about. This is probably my own failing for not being born in England.